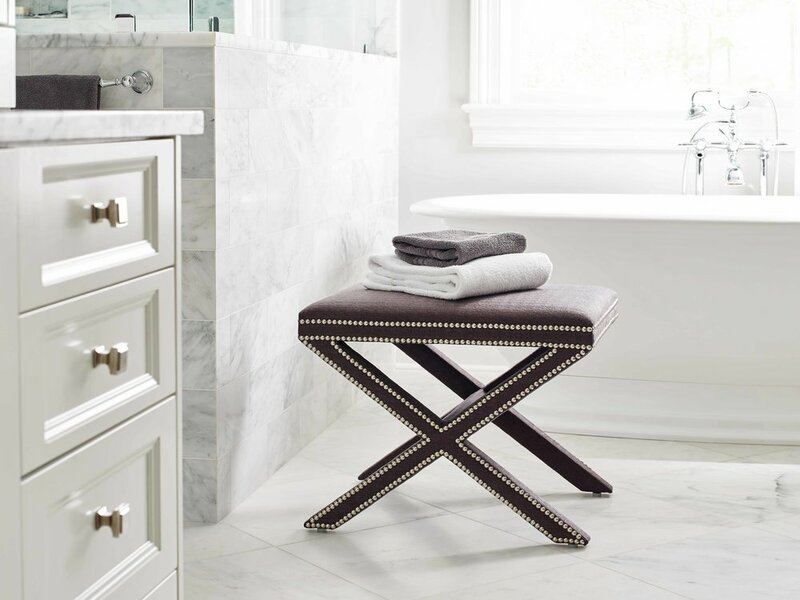 Jessica Charles has a love for all things fashionable, and their commitment to creating comfortable homes extends throughout every step of the design and production process. Jessica Charles believes that your personal style says a lot about who you are. Whether your tastes are trendy and daring or timeless and chic, how you “dress up” your home reflects the unique traits that make you, you. Their North Carolina craftsmen hand-make every frame with locally sourced, sustainable wood. They utilize time-tested, artisan construction techniques, from eight-way hand tied coils to hand-cut-and-sewn patterns. Jessica Charles cushions are custom fitted and their skirts are precisely cut, lined and mitered for a perfect drape every time. Take a look around, get inspired, and find a style that suits you best. Want more? Stop by our showroom to learn about and see all of our Jessica Charles.